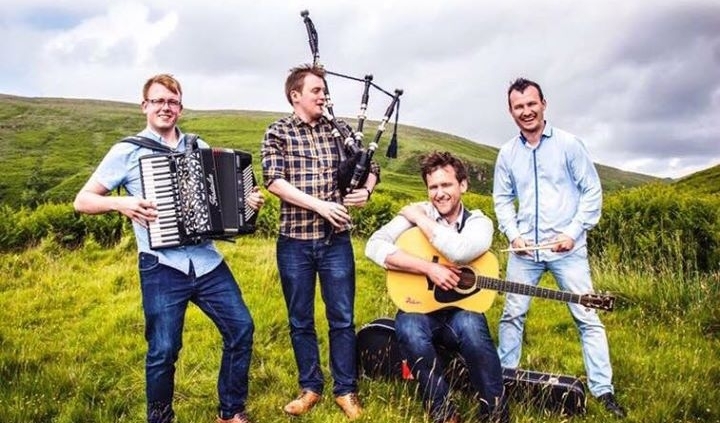 We are delighted that the fantastic traditional and cèilidh band Trail West are confirmed for the Games dance in the Astley Hall, Arisaig on Games night, Wednesday 25th July, 2018. Hailing from the ‘wild wild’ Western Isles of Scotland, Trail West are a young band causing a storm on the Scottish music scene. With all band members hailing from the Hebridean Isles of Tiree and South Uist, the music and culture that they were raised in remains a pure and refreshing trademark in the sound of Trail West. The band’s second album, ‘Rescattermastered’ represents the next step on the journey for this exciting west coast quartet. The door open at 9:30pm, although it generally 10pm before the night gets fully underway. All ages are welcome. However, under eighteens MUST be accompanied by an adult, and ID may be required to get in.